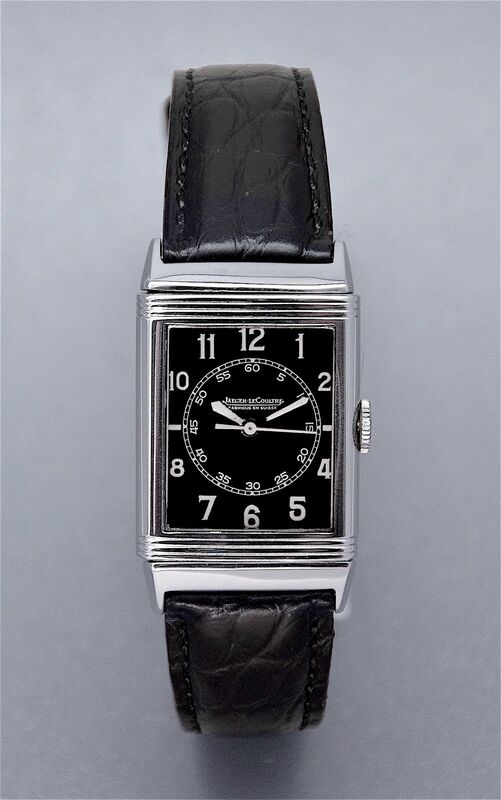 A handsome & rare Jaeger Le Coultre c1942 stainless steel gents black dialled 'Reverso' manual wristwatch. 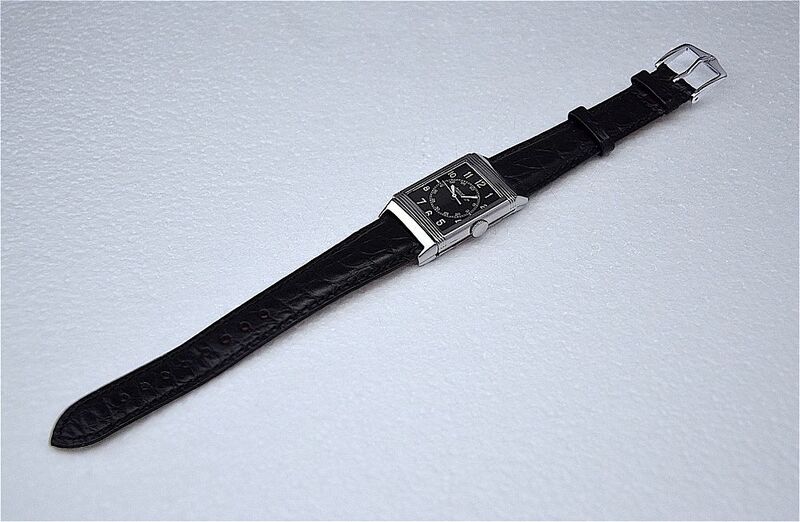 Case: 38mm x 24mm. The length of the case includes the lugs.